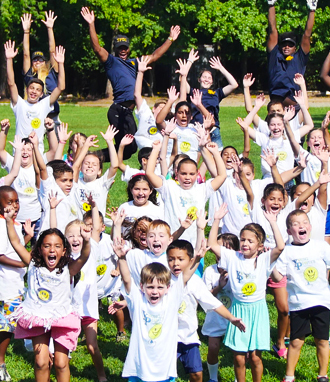 Since 1972 we have provided memorable summers for over 15,000 camp aged children, from every corner of Brooklyn. Over the years, we have developed a unique program built on the belief that for any experience to have meaningful outcomes, it must be conducted in a meaningful way. Educational and developmental studies tell us that being outside, experiencing nature, is beneficial to our children in ways that simply cannot be duplicated in an indoor, static, or confined environment. At Young People’s we provide the parent an opportunity to use the outdoors as your child's classroom, and what better place to do that than Brooklyn! Our 44 years of know how allows us to create the structure and safety that each parent craves, while still allowing the children to experience all the benefits of, discovery, imagination, independence and wonder, that they will need to become citizens of the world. With the help of our fully-licensed staff of educators and administrators and with a slightly more modern approach, we intend to offer your child a camp experience that transcends the generations. We look forward to having you join our Young People’s family! *If you would like additional information please call us @ 1-800-Day-Camp .